Daga Jez for Harper's Bazaar Poland January 2018. 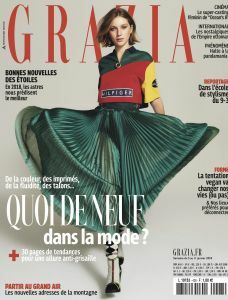 Daga Jez for Grazia Magazine France January 2018. Daga Jez for Wonderland Magazine November 2017. Daga Jez for Madame Figaro Greece November 2017.